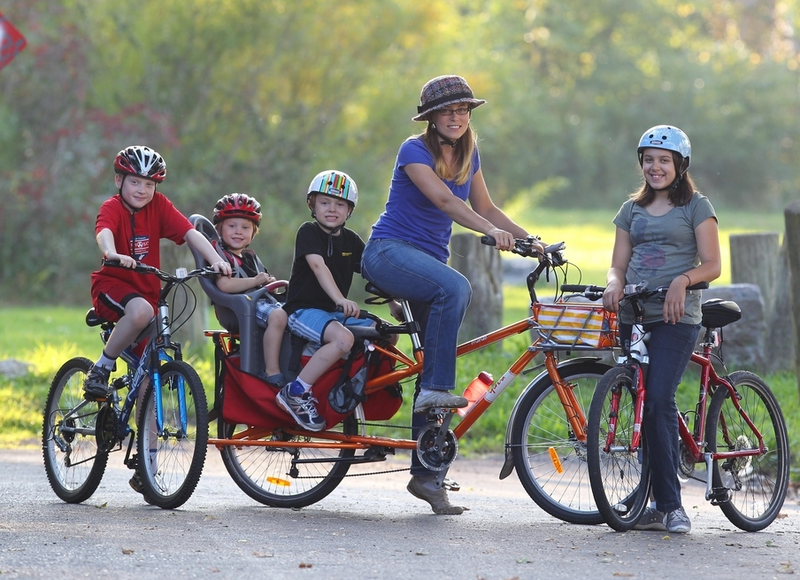 This family from Buffalo, NY lives car-free year-round. (Click to expand.) Image credit: Mark Mulville, Buffalo News. Need some inspiration to hop on two wheels? How about this amazing family from Buffalo, NY, who have lived without a car despite snow and a hectic schedule involving multiple kids? They make it work using ‘cargo bikes’ on which they can transport kids or shopping, using lots of transit, and carshare when a personal vehicle is necessary. One of the biggest outcomes of not owning any cars is that they save lots of money, which helps them with medical expenses for their daughter, who suffers a rare autoimmune condition. You can find out more by watching this amazing video. An inspirational story, and one that proves that in many cases, the barriers to living without a car exist mainly in our mind. What do you think? Could you make do without a car? What problems do you think you would run into, and is there anything that could be done to make it easier? Have your say in the comments section below. This entry was posted in Alternative Transportation, Biking, People, Transit and tagged car-free, Cycling, Transit. Bookmark the permalink. When I lived in DC I lived a car-free. This was mainly facilitated by being able to live and work near metro stations/frequent bus lines, and living in the same block as a grocery store. Unfortunately since moving to NJ a car has become one of my monthly expenses (and expensive it is!). The major problem is my place of work being relatively inaccessible by bus/train, and a lack of affordable places to live close to transit and other amenities. eg living next to Princeton Junction station wouldn’t eliminate the need for a car as it isn’t walkable/bikable to a grocery store. Where in the area could you get all these things? I guess Princeton shopping center – nearby housing (affordable? – not exactly), groceries (and other amenities) and bus routes, but unfortunately none of those buses routes pass by my place of work.